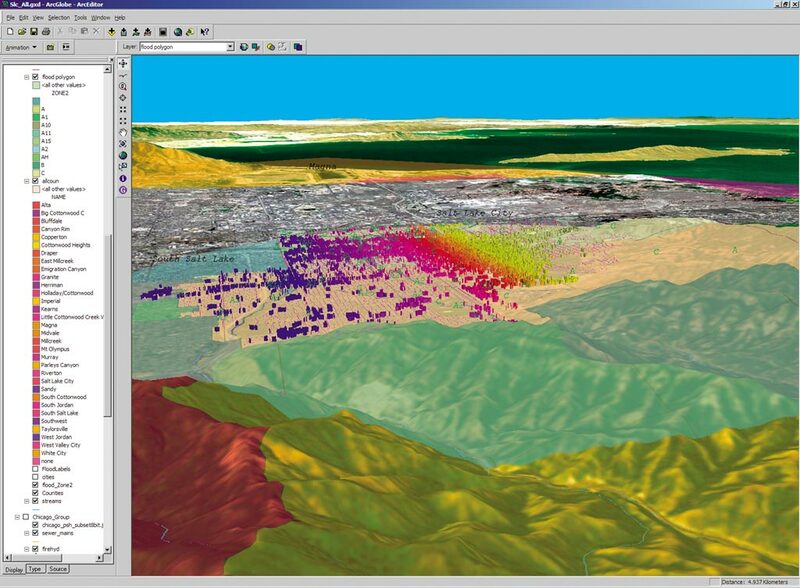 ArcGIS 3D Analyst supports vector data (points, lines, polygons, and 3D objects). With the release of ArcGIS 9, the ArcGIS 3D Analyst extension will introduce a revolutionary way to support multiresolution global data visualization in 3D using the new ArcGlobe application. 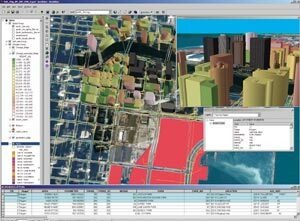 This highly anticipated application allows users to view and analyze very large amounts of 3D GIS data seamlessly and with extremely fast display speeds. 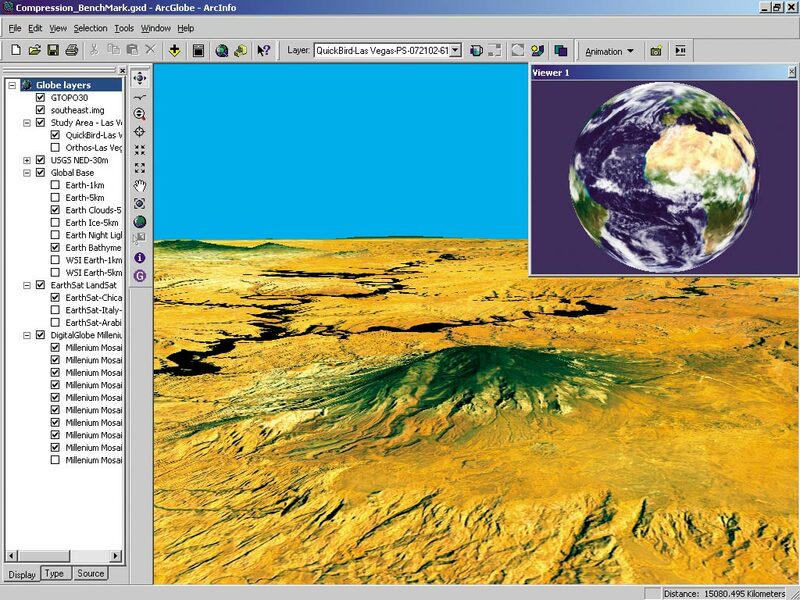 ArcGlobe literally presents a globe of the earth over which users can navigate easily in three dimensions. Users can "drill" quickly from a planetary view to a high-resolution close-in examination of whatever terrain on earth they choose and have access to the associated data tables. "ArcGlobe provides real-time pan and zoom of very large (hundreds of gigabytes) of 3D raster, terrain, and vector data sets with no perceivable hesitation on standard PC hardware," says Esri President Jack Dangermond. "This has been achieved by the introduction of a new approach for indexing and quickly retrieving data." Users can identify features and highlight results. 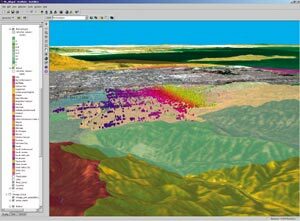 Display multiresolution image and terrain data. Support vector data (e.g., points, lines, polygons, and 3D objects). Convert two-dimensional representations to 3D on the fly. 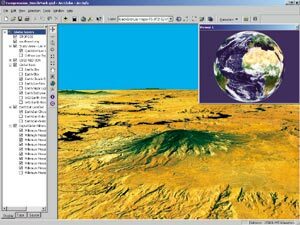 Users can display multiresolution terrain data. In addition, the support for 3D symbology further augments the realism provided by the ArcGlobe application. True 3D symbology allows the user to create maps that enhance scientific visualization and simulation. ArcGlobe will include style libraries to give the user a variety of real-world symbols from which to choose. The ArcGIS 3D Analyst extension with ArcGlobe functionality offered in ArcGIS 9 will be available for all ArcGIS Desktop products (ArcInfo, ArcEditor, and ArcView). For more information on ArcGIS 3D Analyst and the ArcGlobe application, visit www.esri.com/3danalyst. 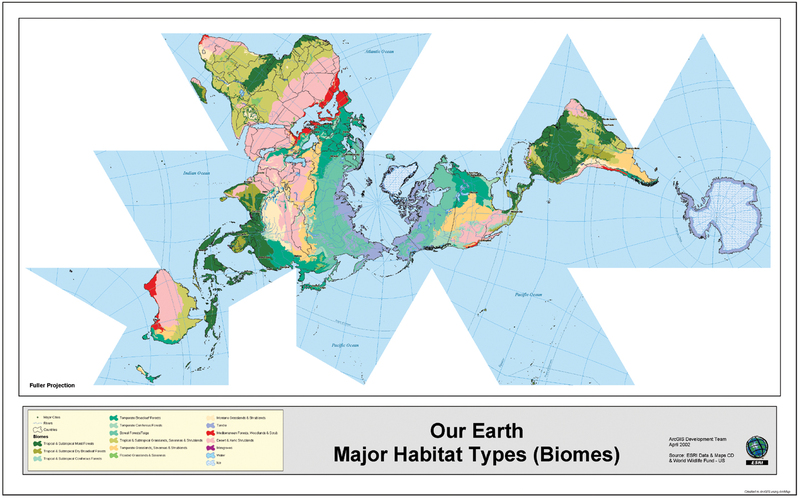 The unique and highly educational map projection designed by Buckminster Fuller (the famous architect, inventory, and systems thinker) will be supported in ArcGIS 9. One of its unique advantages is that it can be folded into a globe. 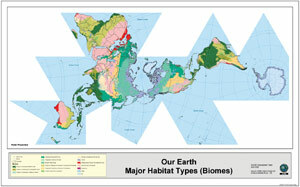 Esri sees this projection playing an important part in education.